The helmet consists of a shell (item no. 1, fig. 1), a suspension assembly (item no. 2, fig. 1), a headband (item no. 9, fig. 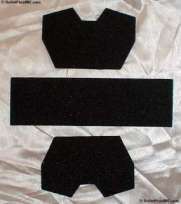 1), and a chin strap assembly (items no. 5 and 12, fig. 1). The shell is molded of laminated Kevlar fabric. It covers the front of the head, the temple region, the ears and the lower rear region of the head. 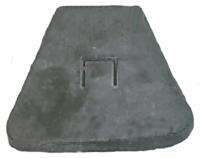 It has a small brim and rubber edging around the periphery. 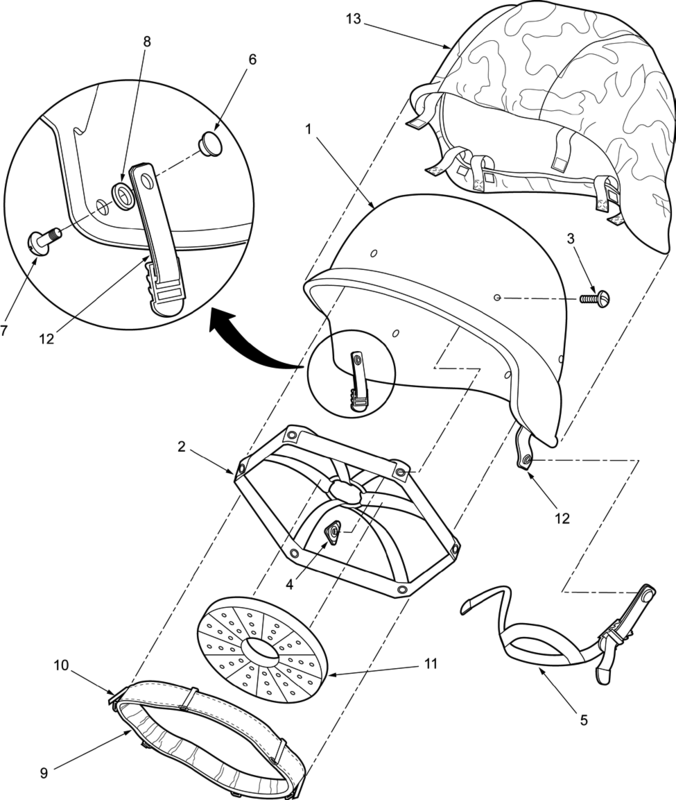 The suspension assembly is a cradle type that is attached to the helmet with screws (item no. 3, fig. 1) and threaded A-washers (item no. 4, fig. 1). This feature allows replacement while minimizing the amount of hardware on the inside of the helmet and thereby reducing the possibility of injury from impact. The suspension assembly consists of two looped and one front and rear crown straps, a fixed web strap to which the ends of the crown straps are attached, and crown drawstring and adjustable tab with hook and pile closure. The headband is a padded leather-lined web strap. Fitted around it are six metal clips (item no. 10, fig. 1) and at its rear a buckle for adjusting to the fit to the wearer's head size. The clips are used to attach the headband to the fixed web strap of the suspension assembly. The chin strap is a two point suspension open chin cup having two adjustable buckles and a single pull-the-dot snap fastener closure on the left side. The chin strap is attached to the helmet with screws (item no. 7, fig. 1), washers (item no. 8, fig. 1) and posts (item no. 6, fig. 1). A helmet cover (item no. 13, fig. 1) is available in several camouflage patterns. A helmet band is used in conjunction with the cover. For parachutists, a pad and retention strap are available to provide impact protection and increase helmet stability during airborne operations. A chemical protective cover is used in certain operations. The suspension assembly and headband were modified to eliminate the metal clips and buckle. Six hook/loop tapes are used to attach the headband to the suspension assembly. A hook/loop fastener is used to adjust the headband length. 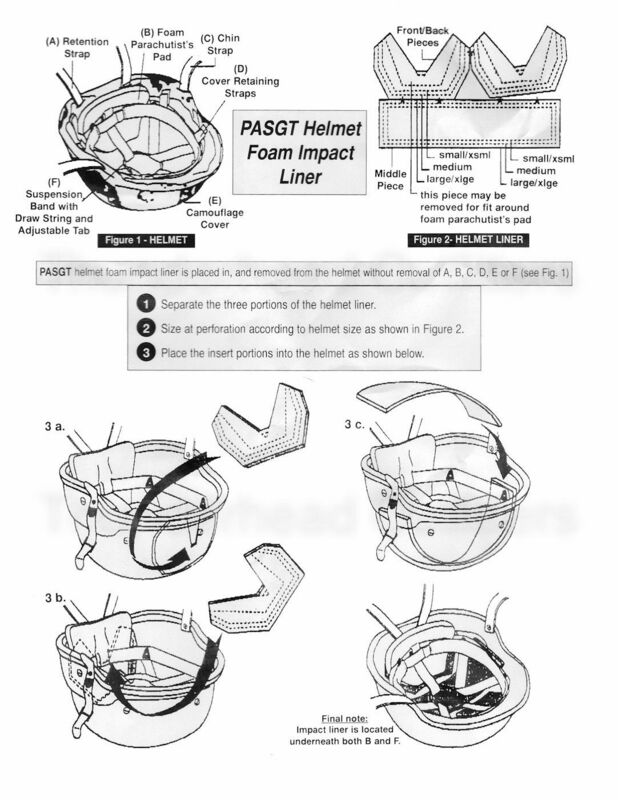 Impact liner for parachutists that is slid into the helmet between the suspension webbing and helmet shell. It improves non-ballistic (bump) impact protection. Comfort pad (item no. 11) that provides comfort in the crown area of the helmet. It attaches to the suspension webbing with a hook/loop strap. TM 10-8400-203-23. 1990 with changes 1-11. Chapter 19.